The Full Monty, but with the socks left on. 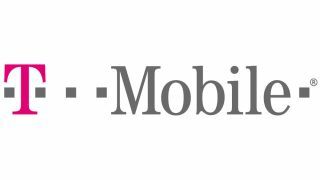 UK network T-Mobile has confirmed that new customers signing up to its Full Monty tariff will not be eligible for unlimited tethering on their device. Launched back in February, the Full Monty plan offered T-Mobile customers unlimited calls, texts and data – including tethering – for £36 per month. However anyone looking to take advantage of this offer now will notice the Full Monty tariff clearly states "excludes tethering" next to its "unlimited internet" claim. TechRadar spoke to a T-Mobile spokesperson who said: "From 8th August, tethering is not permitted for new customers under the terms and conditions of the Full Monty. "We have a range of smartphone and mobile broadband plans that include tethering for customers who want to stay connected on other devices." Unfortunately the spokesperson was unable to reveal why the network had decided to stop offering tethering as part of the terms of the Fully Monty contract, stating: "We don't have anything more to share." We can only assume T-Mobile has witnessed a dramatic drain on its bandwidth since launching the Full Monty plan, so has had to quickly back-track on its offer of truly unlimited internet to stop the network falling over. Three's the One Plan is the main competitor to T-Mobile's Full Monty plan in giving you practically unlimited minutes, text and data... and at the time of writing still offered tethering as part of the package too.